Join our 20-week high season CSA program, and you become a member of our farm and receive a 'share' of the food we produce. 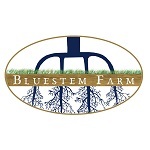 Build your own flexible share from Bluestem Farm certified organic produce, pasture-raised chicken, pork, and eggs. Choose a la carte from the menu below. You might also be interested in our winter CSA program. There are no delivery fees, period. At the heart of what we do, our certified organic vegetables are the basis for a healthy farm and a varied diet. We focus on providing variety without ignoring the staples. Non-GMO, no bad sprays, no synthetic anything. Flexible sizing and custom share boxes allow you to build your perfect CSA share for summer 2017! 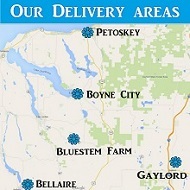 With our program, there are no delivery fees, period, for any share type. Get complete details at our farm store. Read more about it and find specific images of last year's shares here. We raise several exceptional breeds of heritage pork, and all are uncommonly delicious. Well-suited to being raised outdoors, our pigs are docile, good at renovating old pastures, and live the good life on our farm. Raised on pasture as much of the year as possible. Non-GMO. No hormones, antibiotics, or synthetic anything. Raised on certified organic pasture. Questions about how this works? Read more in our farm store. Our chickens are constantly moved around on fresh pasture, which makes their meat lower in fat, and higher in vitamins and Omega-3s than conventional birds. Non-GMO. No hormones, antibiotics, or synthetic anything. Five month share length. Questions about how this works? Read more about it and place an order right from our farm store. As much of the year as possible, our laying hens are raised on sunshine and grass. Non-GMO. No hormones, antibiotics, or synthetic anything. Raised on certified organic pasture. Questions about how this works? Read all about it and order right from our farm store. Click the farm logo below to register for a share today! This page last updated on 10/24/2018. 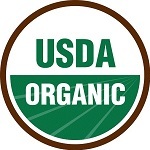 Click the farm logo below to go on a virtual farm tour!